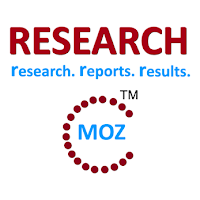 ALBANY, NY, June 2015 -- ResearchMoz.us includes new market research report "Global Energy Retrofit Systems Market 2015-2019: Worldwide Industry Size, Shares, Growth, Analysis, Trends And Forecast" to its huge collection of research reports. Energy retrofits refer to the revamping of existing buildings to reduce their overall energy consumption and GHG emissions. With rising costs of energy and growing GHG emissions, the owners of both residential, commercial, and public buildings are taking measures to improve the energy efficiency of their buildings. In EU countries, the local governments have mandated building codes and green ratings for commercial buildings and are also providing incentives to consumers of energy retrofit systems. Though there are market challenges such as high initial costs and lack of skilled labor, local governments’ initiatives to create consumer awareness about the benefits of energy retrofitting will help the market grow. Technavio's analysts forecast the global energy retrofit systems market to grow at a CAGR of 8.4% during the period 2014-2019. The report includes the segmentation of the global energy retrofit systems market on the basis of type of technology (hvac and controls, insulation and glazing, lighting and controls, water heating, and others) and building type (residential and commercial, and public). The report also includes the geographical segmentation of the market. Technavio's report, Global Energy Retrofit Systems Market 2015-2019, has been prepared based on an in-depth market analysis with inputs from industry experts. The report covers the market landscape and its growth prospects in the coming years. The report includes a discussion of the key vendors operating in this market.